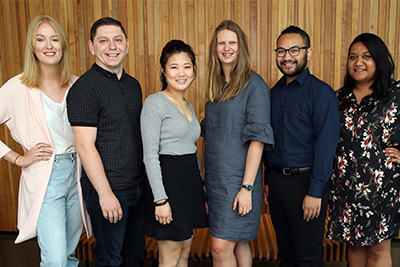 Our Accounting department within the AUT Business School is home to a vibrant and diverse community of active and internationally recognised scholars. The relevance of our research is reflected in our involvement in several research projects, in our substantial research consultancies with industry and government, and our active engagement with professional practice. Our staff are actively involved as members of the AFAANZ Board, CPA Australia New Zealand Council and New Zealand Auditing and Assurance Standards Board. Each of the journals make a distinctive contribution to accounting theory and practice in the international arena. In addition, many staff have authored scholarly books which have been published by major international publishing houses, as well as several leading textbooks in accounting and taxation. We actively involve students in our research and welcome any students who would like to get an impression of how exciting research is carried out and those who might be thinking about starting an academic career. Our aim is to provide students with a pathway through undergraduate and postgraduate studies with research assignments that relate to each other. Every student is welcome to contact any staff member from our department to find a suitable research topic related to accounting.